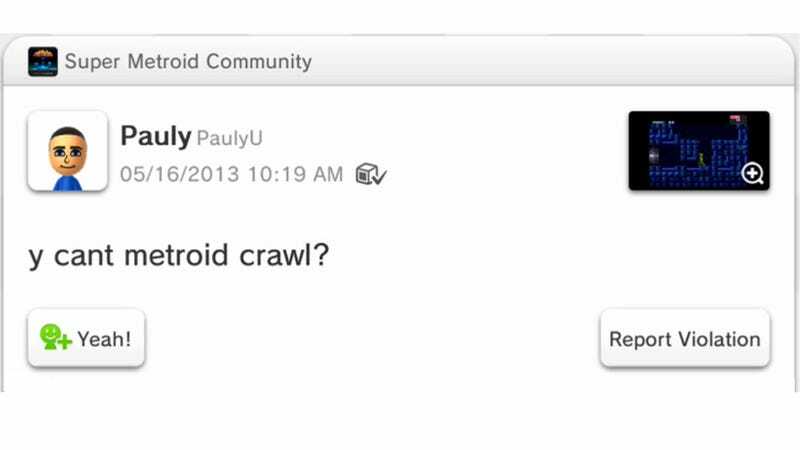 Last time we checked in on Miiverse, some players were having trouble with Super Metroid. We shook our heads. We snarked about them damn spoiled kids. But at least one of those folks— PaulyU—persevered and finished the game. Here's the spoilery proof.